Readers of this blog may recall that in the last year I’ve posted a book review about how Canada used starvation in the 1870s to force its Aboriginal peoples onto reserves, thus opening Canada’s West for settlement by Europeans http://rhodahassmann.blogspot.ca/2014/02/book-note-james-daschuks-clearing-plains.html I’ve also posted a blog on nutritional “experiments” in Canada’s residential school system that deprived some Aboriginal children of food http://rhodahassmann.blogspot.ca/2013/07/canada-malnourishment-of-aboriginal.html. Malnutrition among Canada’s Aboriginal peoples still exists. In 2011, 27.1 per cent of Canada’s Aboriginal households were food insecure, as opposed to 11.5 per cent of non-Aboriginal households. A nutrition survey conducted in 2004 found that 33 per cent of off-reserve Aboriginal households were food insecure, compared to 9 per cent of other Canadians. In part, this food insecurity was attributable to higher rates of reliance on social assistance and higher rates of lone parenthood among Aboriginals than non-Aboriginals, but even controlling for these risk factors, Aboriginal households’ rates of food insecurity were 2.6 times higher than non-Aboriginal households’ rates. Some of this malnourishment might be a consequence of the high cost of transporting nourishing food to remote Aboriginal communities; for example, in 2012 residents of Nunavut, one of Canada‘s Northern territories where most people are Inuit, spent $14,815 per year on food, compared to $7,262 in Canada overall. 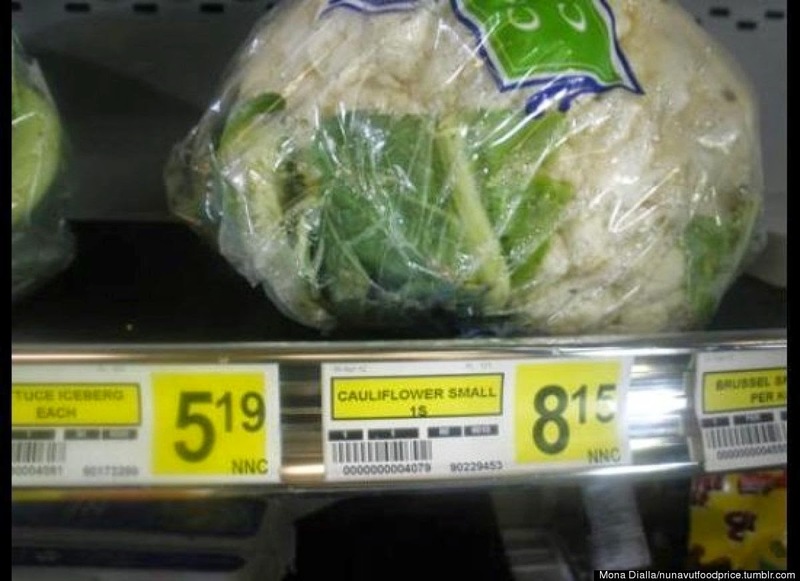 A 2007-08 study of Nunavut preschoolers found that 56 per cent were food insecure. Another reason for food insecurity among Aboriginal Canadians is reduced access to traditional foods—especially meat—which is much healthier than the processed foods that Aboriginal people are likely to eat, especially in remote areas where it is difficult to import or cultivate fresh dairy products, fruits and vegetables. One major cause of lack of access to traditional foods is loss of land and limitations of rights even to use the land supposedly reserved for Aboriginal people. Another cause is loss of culture, especially transmission of hunting skills over the generations; the kidnapping of children and their confinement in residential schools meant that they could not learn how to fish and hunt from their elders. As I discussed in my review of Peter Kulchyski’s book, http://rhodahassmann.blogspot.ca/2014/02/book-note-peter-kulchyski-aboriginal.html, some scholars of indigenous rights think that human rights are a “Western” invention that does not pertain to indigenous peoples. But it is precisely the lack of human rights that has enabled the Canadian state to treat Aboriginal people so badly for so long. For many decades after Canada became a nation in 1867, Aboriginal people were legal minors who could not vote. Aboriginal individuals could get the vote if they left their reserves and assimilated into the wider population, but in so doing, they lost their rights to live on the reserve and be part of their community. Aboriginal people living on reserves were not permitted to vote until 1960. Aboriginal peoples were also denied freedom of association. In 1927 the government passed a law that prohibited Aboriginals from collecting funds for advancement of land claims; in effect, the amendment prohibited all national organization. When one hereditary Iroquois Chief tried to go to the League of Nations to plead his people’s case, the government stationed a permanent police presence on his reserve and deprived hereditary chiefs and councilors of their positions. The ban on Aboriginal political activism was not removed until 1951. Meantime, a pass system was rigidly enforced prohibiting Aboriginal freedom of movement, while restrictions on commerce meant that Aboriginals could not participate as equals in Canada’s evolving capitalist economy. Even service in Canada’s armed forces did not mean that Aboriginals got equal rights. Micmac veterans in Nova Scotia were pleading for rations in 1953, in part because they did not receive the land grants available to non-Aboriginal veterans. So, Aboriginal Canadians have been formally entitled to the full range of civil and political rights for little longer than 50 years. And they are not yet protected (if they ever will be) by the collective rights enshrined since 2007 in the Universal Declaration of Indigenous Rights; although Canada expressed its support for this Declaration in 2010, as of 2014 it was not yet law. This is a shameful record for a wealthy democratic country in which all human rights are supposedly guaranteed to all citizens.